Last week I received a rather random tweet asking if I would like to review some cupcakes. Errmm, YES PLEASE! Any one who knows me will know I love cupcakes so this is the perfect opportunity for me. 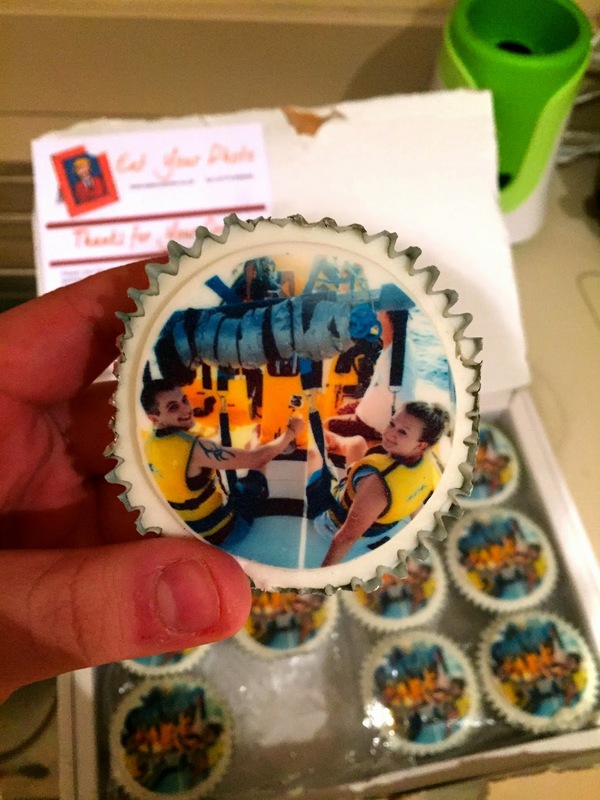 After excitedly replying and checking out the website I discovered that www.eatyourphoto.co.uk is a website that creates edible photos ! You can choose what ever image you like and have it designed on a brownie, cookie, pizza, cake basically anything edible and yummy ! I sent off my photo and eagerly awaited my parcel to arrive. I love the fact you can pretty much order anything to arrive at your door. I know you can get these cake designs in supermarkets but I think its so much easier that it gets delivered. The box arrived a few days later with 12 cupcakes and naturally I dove straight in and took a bite. I choose the vanilla flavour and according to the website the cupcakes are all handmade. 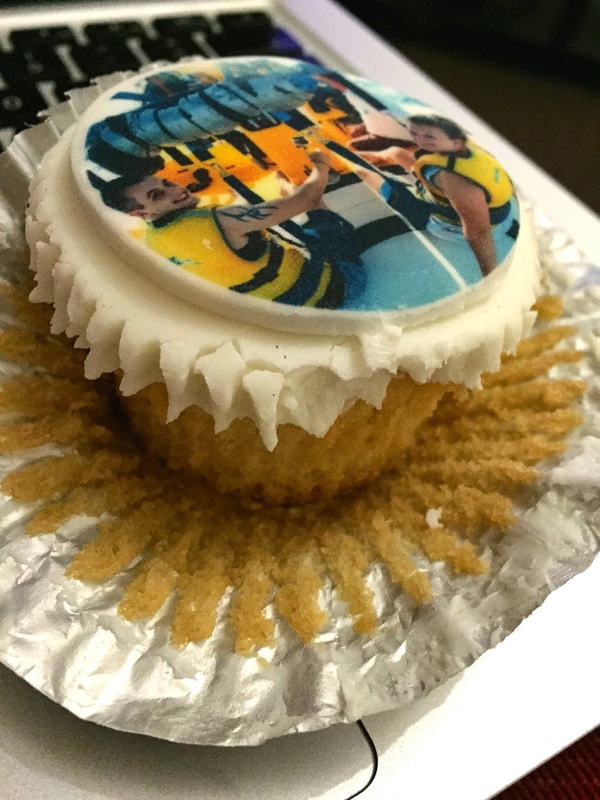 I am genuinely impressed with the quality of the photo printed on the cupcake, the colours are great and you can see every detail. They tasted soooo yummy! I was slightly surprised as I have found in the past that those ones from the supermarket can be quiet dry but these taste amazing. They are really moist and the creamy icing is just too good. I can only manage one though as I think it can be a bit much but thats a good sign in my eyes (makes me not eat the whole box). I would truly recommend these cupcakes and I cannot wait to order some more for my next occasion ! I think they would be great to have at a blogger meet or event too. I would love to try the toffee ones with caramel icing !! Thank you for Eat Your Photo for sending me these beauties! *Products sent for review but all opinions are my own and completely honest.